Launched by the search giant 2 months back at Google I/O 2016, Nearby Notifications is on its way to taking the world by storm. A number of brands across various verticals, right from Airside Mobile, an innovative mobile travel app, to Entertainment One, a media distribution company, have already leveraged Google Nearby to offer enhanced customer experiences via contextually relevant notifications. To make things more exciting, Google Nearby addresses some of the critical challenges that the beacon market has faced, head on. For example, the Play Store offers over one million apps — many of which are created to be used in specific locations or situations. However, finding and using the right apps at the right time can be quite tough, especially if users aren’t already aware about them. Nearby addresses this problem by notifying users of apps that could be helpful when they’re in proximity to an Eddystone-compatible beacon. 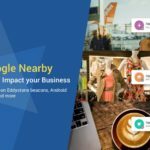 While all of this has resulted in a lot of excitement around Google Nearby, there is also a fair amount of confusion among marketers on how Google Nearby will affect businesses’ ongoing beacon projects. Our recent webinar – ‘Google Nearby: How it will impact your Business’ was aimed to help businesses do just that. 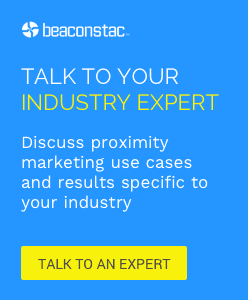 In the webinar, Rahul Gulati, Product Manager at MobStac discussed in detail about how Google Nearby is taking some of the critical beacon challenges, right from the need for an app to interact with beacons to the lack of consistency in the manner in which permissions are sought to enable beacon scanning, head on. He then digged deep into how the other latest developments on the Eddystone front and the launch of Android Instant Apps would impact the proximity marketing space. He also talked about some of the latest examples of brands that are currently running beacon trials using Google Nearby. In the end they answered some very interesting questions that we received from our attendees during the course of the session. You can listen to the entire webinar recording here. If you are planning an Eddystone beacon pilot, take a look at Beaconstac, that includes everything you need to kickstart your campaign in under 15 minutes. Using Beaconstac you can set up your own campaign, without a developer’s help! 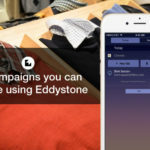 Google’s Eddystone vs Apple’s iBeacon: Who is winning in the Beacon Space in 2016? [Webinar] Will Eddystone take on iBeacon in 2016?